Each weekday leading up to our Best New Bands of 2013 showcase this Thursday in the Mainroom, we will be sharing an interview with each of the seven artists. How would you describe your sound to someone who has never heard GRRRL PRTY before? What are GRRRL PRTY’s plans for 2014? Making our music accessible: new releases!! How excited/nervous are you to playing the Mainroom for first time as GRRRL PRTY? 100 exciteds!! (Chita has never played the main room with her own project, she has only guested for previous shows). Frigid winters and self medication are responsible for this trend. Where can folks find out more about GRRRL PRTY? 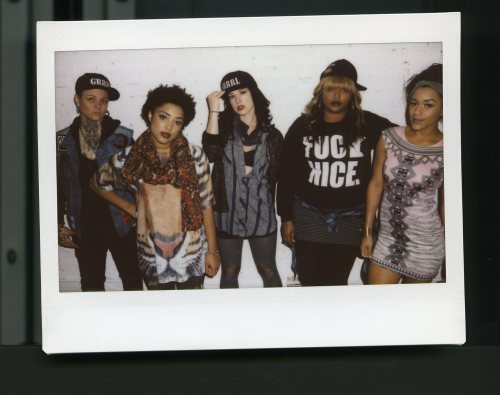 See GRRRL PRTY at First Avenue’s Best New Bands of 2013 presented by Radio K this Thursday, January 30, 2014. $7 tickets are available here and at all First Avenue ticket outlets.